These boots are comfortable, hardy, and reliable and, with every pair sold, we donate a pair to anti-poaching units in Africa as part of our YOUbuy, WEgive initiative. comfortable and durable - and these boots go beyond fulfilling those needs. But where did it all begin? It started with passion: passion for wildlife and the strong desire to protect it. We wanted to help, but couldn't exactly run into the wilderness with guns - so Steve approached the men who could. 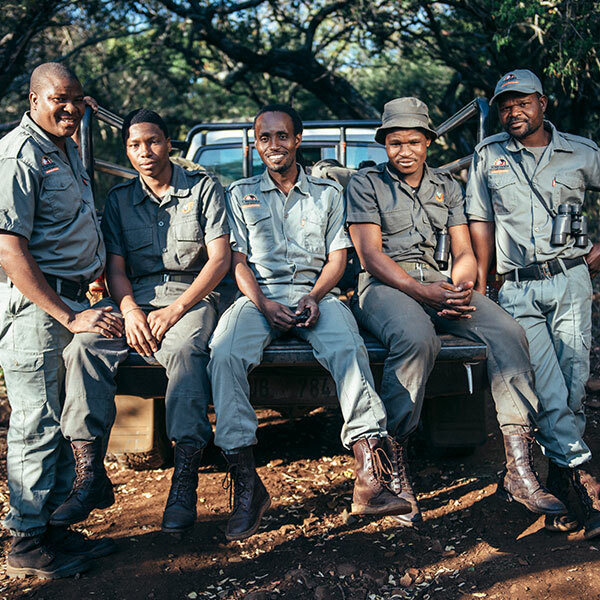 After meeting with the anti-poaching unit at Hluhluwe-iMfolozi and their officer-in-chief, Jabulani Ngubani, we set about designing the Rufiji™ APU Combat Safari Boots with our Rufiji™ shoemaker. By combining a new classic boot style with wildebeest hide, we came up with the prototype for the boots and then we sent the boots to Hluhluwe-iMfolozi to see if they would actually work in the field. Since then, the boots have undergone thorough testing by APU member, Zenzele Tembe. He walked a total of 480km on patrols in Hluhluwe-iMfolozi before reporting back to us with positive results. According to Zenzele, the boots are 'very suitable to the dry savannah land and are light on the feet'. Tactically, he says the boots are 'ideal as the footprints can be easily concealed'. He says the shoes are 'soft but protect the feet from the rough terrain'. He also noted that they 'dry fast which is ideal for rainy days and walking through rivers'. His feedback inspired us to do more and donate more and we launched the YOUbuy, WEgive initiative to give you, our client, an opportunity to get involved. Let's work together to keep the APU on their feet, fighting poachers and saving Africa's wildlife. 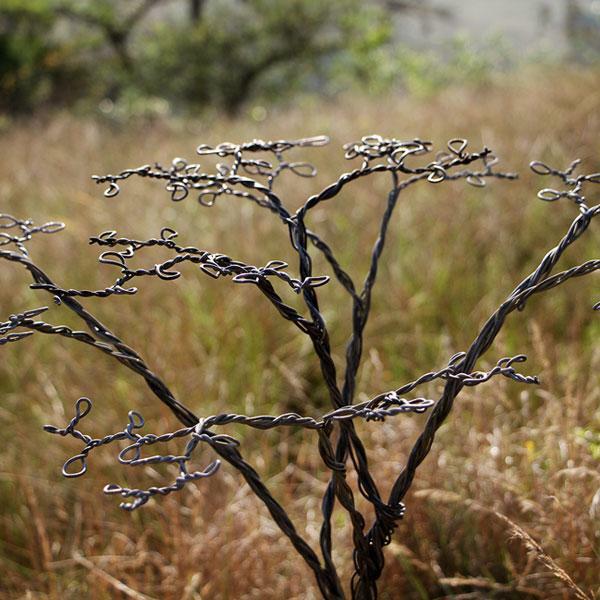 Our YOUbuy, WEgive initiative is geared towards helping game reserves and their surrounding communities. For every three pairs of Rufiji™ APU Combat Safari Boots you purchase, we'll make a donation to the anti-poaching units of game reserves in South Africa. 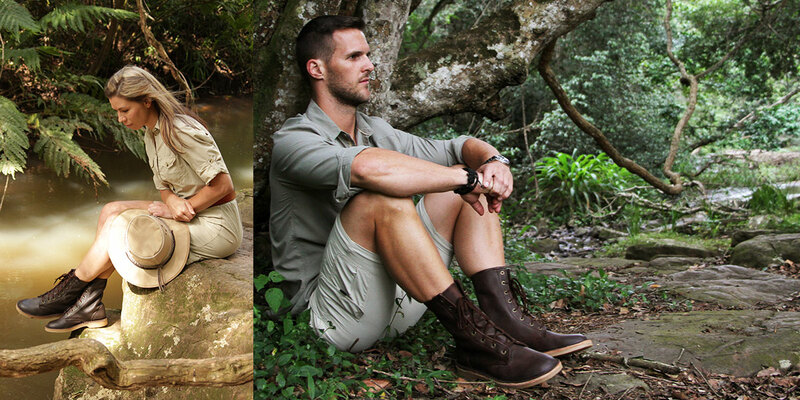 Together with our partners, we have also supplied boots to uMkhuze, Tembe, Opathe, Ithala, and Ukuwela Game Reserves. Scroll down to the map below to see where our boots have gone. Thanks to your support, our Rufiji™ APU Combat Safari Boots are being used by anti-poaching troops on an increasing number of reserves in a range of African countries. Another part of our anti-poaching support is to donate binoculars to APUs - helping them to keep a closer watch on wildlife during their patrols. 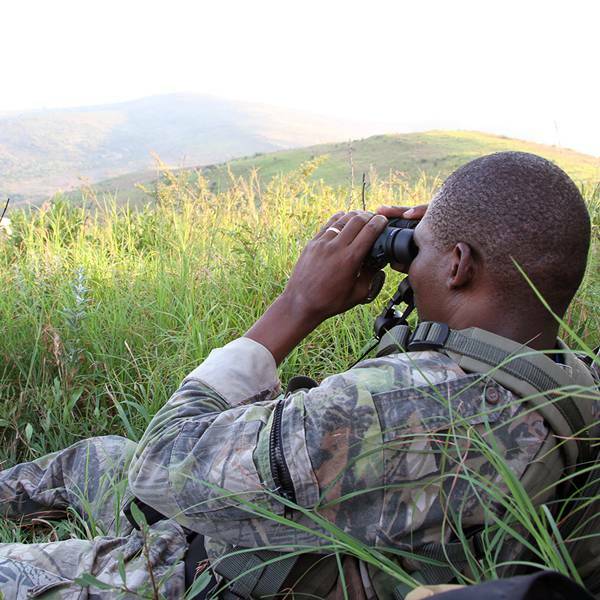 Alongside our growing boots project, we have started a Rental Retirement Project which gives old rental binoculars a new purpose in the hands of anti-poaching units. With the help of Vortex Optics, we were also able to deliver brand new binoculars to a few reserves. Pictured on the left is Dave Gilroy of Somkhanda Game Reserve accepting six pairs of Vortex Diamondback 10x42 binoculars and boots for their APU. 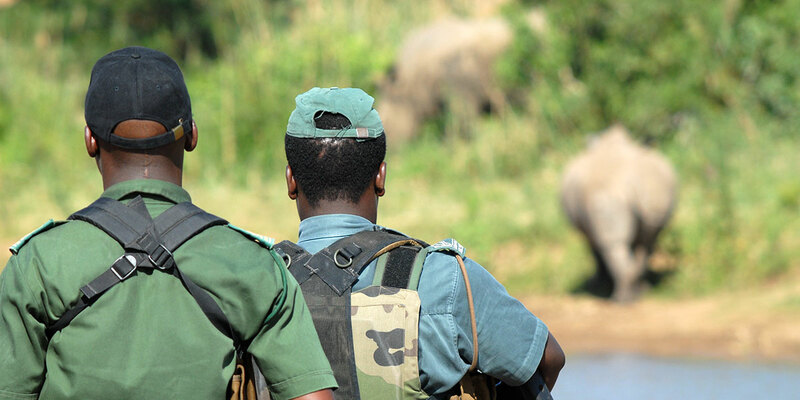 Keeping the wildlife warriors on their feet. The men and women on wildlife patrol across Africa have tough jobs and we aim to make their days just a little bit easier by giving them boots that are comfortable and durable. Lovingly crafted from natural materials, individual attention and the keen focus of a team of African craftsmen go into each pair. 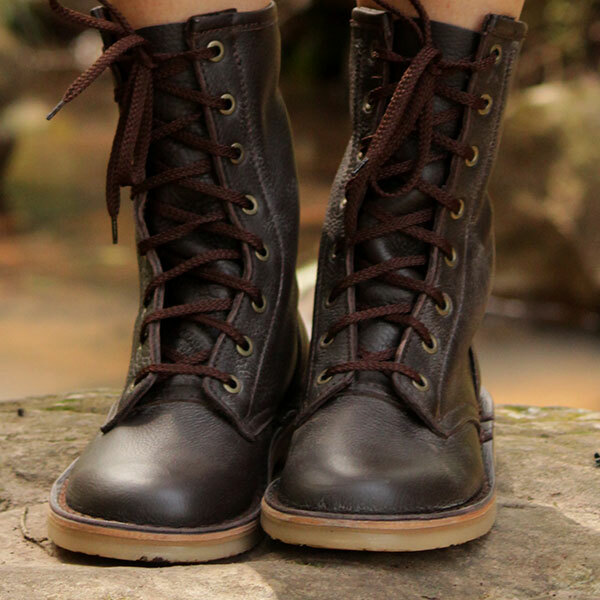 Like the look of our Rufiji™ APU Combat Boots? Beautifully made and always comfortable, get your own for outdoor adventures and as an everyday fashion item. Click here to view our style guide for women. Partnering for conservation. 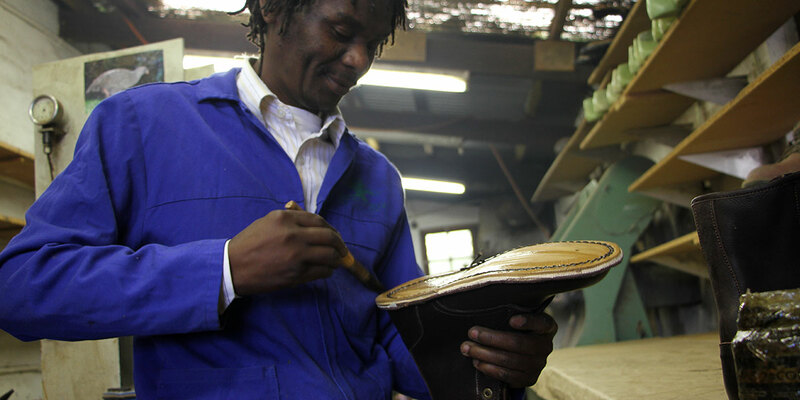 Connecting with some key members of the conservation community, the Boot Project continues to grow - making a difference to the daily lives of the men and women tasked with protecting Africa's wildlife. Click through the images below to see some of the recipients of the Rufiji™ APU Combat Safari Boots. Our MD, Steve Adams, handing over the boots to Markus Hofmeyr from Rhinos Without Borders/Great Plains Conservation in Maun, Botswana. Saving habitats. Protecting wildlife. 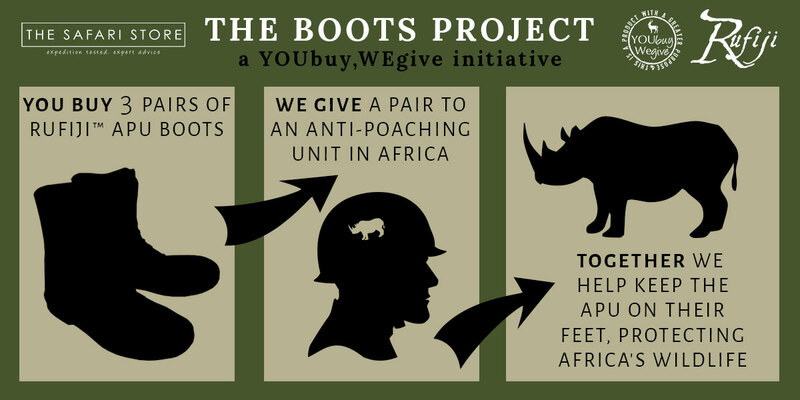 Wild Tomorrow Fund supplies Rufiji™ APU Combat Boots for anti-poaching around Africa. Photo by Wild Tomorrow Fund. Members of the Hluhluwe-iMfolozi anti-poaching unit trying on their brand new boots. 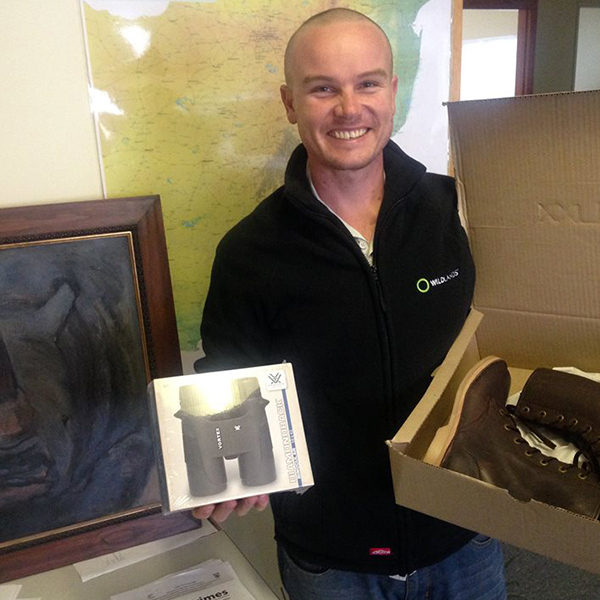 Steve Adams delivering the boots and binoculars to the warden of Northern Kafue, Justin Chisoko. A heartwarming letter from Justin Chisoko. Fundraising to provide critical supplies to more than 14 reserves, Wild Tomorrow Fund provides Rufiji™ APU Combat Boots for research and patrols in Africa. Photo by Wild Tomorrow Fund. Enter your email address to share in our world through informative and inspirational stories. After all where there is safari, great stories inevitably follow.